Four years ago, in the heat of the campaign, President Obama promised Americans lower gas prices, a more modern electrical grid, and new sources of energy to reduce costs for all Americans. What he did was the exact opposite. Obama’s neglect of this issue is particularly damaging during these tough economic times. Energy isn’t just about gas prices. From the costs of basic utilities to the price of milk, energy is the linchpin of a thriving economy and a national security issue. It impacts our businesses and their ability to earn a profit and reinvest in new jobs. Americans’ requirements for power are increasing, but our President seems wedded to a naÃ¯ve ideology about how to provide more efficient, reliable and cost effective solutions to our national energy needs. Windmills alone will not make America energy independent. Despite opening up offshore sites and federal lands for additional oil exploration, President Obama has prevented us from using our own natural resources. The United States has more than 250 years-worth of oil, coal and natural gas but much of it remains untapped for our use. President Obama openly stonewalled the Keystone XL Pipeline instead of championing energy jobs and more reliable domestic oil supply. A gallon of gas was $1.87 when Obama took office. Today it’s more than double at more than $4 in many places. Each 10-cent rise in gas prices means that the average household spends nearly $100 more on gas per year. Every $.1 increase in gas prices saps $1 billion in purchasing power out of the economy. The average American household now spends a whopping $3,348 of its after tax income on fuel, yet Obama has declared war on the coal industry in an effort to kill that energy option for Americans. 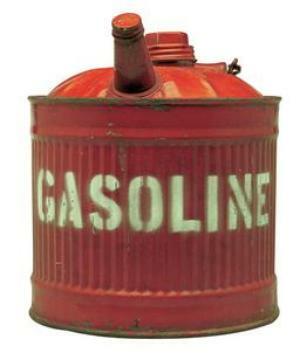 President Obama’s Secretary of Energy has been quoted as saying that, “Somehow, we have to figure out how to boost the price of gasoline to the levels in Europe.” In case you’re wondering, that’s $9 per gallon. President Obama has spent his first term trying to convince Americans to buy the Chevy Volt, which consumers don’t want, can’t afford and energy infrastructure can’t sustain. Obama’s so-called “green” economy has fallen flat despite funneling billions to renewable energy companies with failing business models and untried technologies. Solyndra alone received more than $500 million. More than a dozen of these companies have declared bankruptcy. Obama claims to be in favor of clean energy and energy independence, but while China has more than 20 nuclear power plants planned or under construction, the US still only has two – and they are expected to be delayed further. What America needs is a real understanding of how energy impacts the strength of our economy. We don’t need more pet projects at the expense of proven energy solutions. America’s future depends on clean, low, cost, reliable energy.